These little chickpeas are a great substitute for croutons (for those paleo people) or for a healthy snack alone. They have a great flavor and that salty crunch of potato chips. Instead of serving peanuts or mixed nuts with your drinks at your next party, serve these little babies. The varieties are endless, depending on how you change up your spices. Garlic and onion, taco, bruschetta…. MMMM!! Preheat oven to 450°. 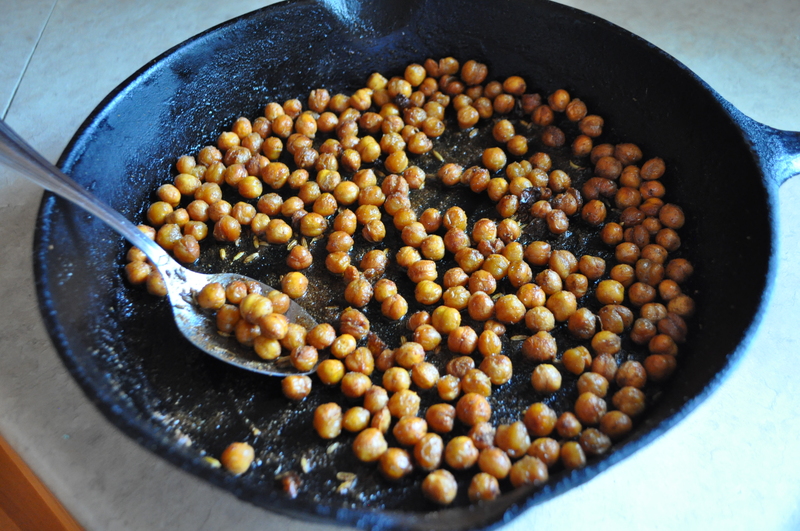 Toss chickpeas in a bowl with oil and next 4 ingredients to coat. Season with salt and transfer to a rimmed baking sheet. Roast, stirring halfway through cooking, until crispy, 25–30 minutes. 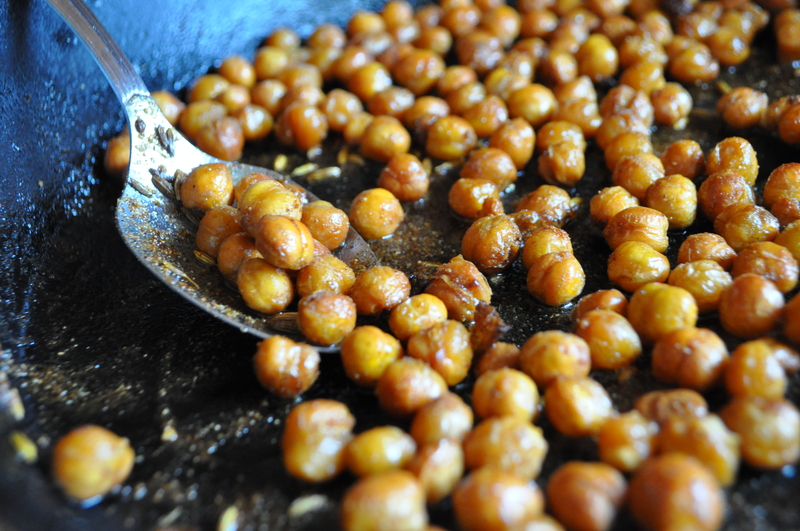 I only recently discovered you could do this to chickpeas and it is quickly becoming a favorite snack in my household! I love your combination of spices, using fennel seeds! Yummy. Sounds delicious with that spice mix. 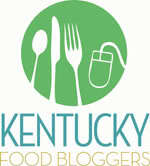 I’ll will be pinning this recipe for game day. Thanks John. I found out yesterday that the leftovers are a bit like day old popcorn. Tasty but slightly softened. Since these are so wonderfully quick, there is not reason you can’t make them the day of. Good! Let me know what you think!